Bought a suit from Brooke Taverner and liked it so much, bought two more. Lovely cut and lovely feel to the materials they use. Highly recommend these tailors. 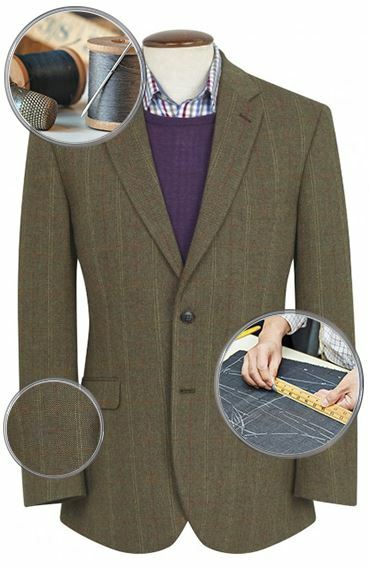 For a ready made suit it fits well and a reasonable price good all round suit. Quick delivery, great quality and they even exchanged the jacket for free when I ordered a size too large. I saw an add. in the Evening Standard. I needed a new suit and didn't have the time to go looking. I had heard of Brook Taverner and thought I should give them a try. I am delighted with the product, it arrived promptly, in perfect condition. It is just what I wanted. I ordered two suits which came within a couple of days and I was extremely impressed with the quality of the suits for the price. I'd recommend them to anyone. I'm amazed at the quality and efficiency of this Company. I have purchased great suits for myself and my son,and they were perfect. As a First Time Buyer, I experienced superior service and received an excellent Product. Have ordered again. will watch out for consistent experience. I've spent years buying work suits from high street stores. My choice has always been limited to those that just about fit rather than the ones that I like. I just assumed that being 6' 3" I must be an odd shape given that very few suits found in high street stores would fit at all. Unless of course you're 6' 3" with a 32" waist, weigh about 12 stones and look like you need a good meal then there is a whole array of choice in the 'Super Slim' section just for you! Brook Taverner have been a revelation to me. Bygone quality and service delivered by modern means, quite a simple recipe really but it's all delivered brilliantly. The staff are polite and well informed. The suits, shirts and ties are all excellent quality and they fit - properly! This is not Saville Row but it is good quality tailoring at affordable prices. 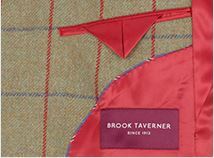 Off the rail sizes that fit well seem to be a rare thing these days but Brook Taverner have got this right. This was the first time I had purchased from Brook Taverner. I ordered a two-piece suit from the web and it arrived when i expected it to. My fault, but I had order the wrong sized jacket and, when it arrived, was not so keen on the material. I sent it back with a re-order instruction. My replacement suit arrived within five days and I am delighted with its cut, fit and style. The service was excellent throughout, I was kept in touch by email of what was going on and the suit is excellent. I will be back..! Comfort,great fit,superb quality all this and more. As a new customer I cannot recommend more highly! I received the suit very promptly, but also it contained a polite letter explaining how busy things were in case the delivery did not meet my expectations. Thank you Mr Scott, you did indeed exceed my expectations and the suit is equally pleasing. Excellent quality, excellent fit, excellent service, fantastic price. I can have no complaints whatsoever with this suit. Another great, quality suit with excellent customer service from Brook Taverner. Great service, prompt delivery, suit cut very good but the suit cloth looks cheap and doesn't hang well. I thought the service you gave was great. Fast delivery from placement of order. Overall, the suit is a good cut, but the cloth looks and feels rather cheap, when compared to, say an M&S suit using English fabrics. The fabric looks "thin" and insubstantial. It arrived slightly crumpled and these "crumples" still remain. The internal details are nice and well made. So, overall a great service and product, let down by its cloth. Material not too heavy and bulky - really nice to wear. Great that you can choose the correct leg length, saves my wife a job of taking the trousers up! Excellent service as usual from Brook Taverner. 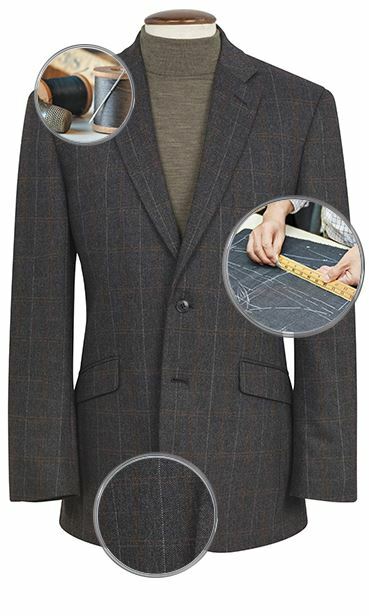 Everything you want in a suit - and at a sensible price too! Well cut, good fit and resilient material - all this and very prompt delivery! Who could want more?! Superb service and delivery. Excellent quality garments. I shall return. Very pleased with this suit. Great quality and excellent fit. Have already ordered another suit already! Fits perfectly - looks great - excellent value. I bought this and found that the material was a little more plain than two similar suits I had bought from other retailers. This might be just what someone else likes. I made the difficult decision to return it although the cut, fit and fabric were very good. The funny iPod pocket behind the lapel might appeal to some, but not to me. The refund was prompt and I'm likely to buy again. Very happy with the purchase. Excellent suit. In fact I have purchased two more suits. Prompt delivery. First suit I have bought from BT. AAA well done, liked it a lot. Will be back for the next, thanks. Simple and easy to do. I normally wear tailored suitings but needed a grey suit quickly. Made an order online which was delivered within 48 hours. The suit did not fit and I returned the item and received a different size, again delivered within 48 hours and no questions asked or cost to myself. Unfortunately I am between sizes in this suiting so had to return the item. I must say the customer service team were superb and communicated almost by return. I received a full refund immediately despite BT''s website stating this takes days. A very, very impressive service and the suiting was good value and quality at the price I paid. Will definitely use again. I bought this suit in anticipation of a smart wedding, and I was not disappointed!. I wore it from 11.00am throughout a long hot day last Saturday 6th July till 12.00am next morning. The fit was good and I found it very comfortable all day. I would fully recommend your goods to anyone. Fits perfectly, and great delivery service. My favourite suit for summer. Excellent cloth and cut. An excellent fit and a good feeling to the material. Prompt delivery at a very good price. Nice quality and good service but unfortunately a terrible fit so I sent it back - sleeves far too long and trousers too baggy - very disappointed. Quick refund given so a plus for that. The herringbone is beautiful. The jacket was a bit long for 'short', but overall an excellent quality suit and good value for money. so good I have bought two more! I found the Jacket came up a size larger so was delighted by the ability to change and no quibbles. The Dawlish suit in Charcoal Birdseye fits beautifully and is very well made. 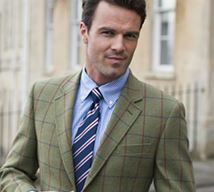 I have bought from Brook Taverner before and have been very satisfied...... Impressed even.! First Suit jacket was larger than the size indicated, replacement jacket was fits very well and the service i recieved was excellent. Nice quality material and a good look in the sharkskin grey. A great service provided as I returned the suit for an exchange in size this happened without a problem and the revised suit was a perfect fit. Only one slight point is that it would have been nice if the cuffs on the jacket were functional. 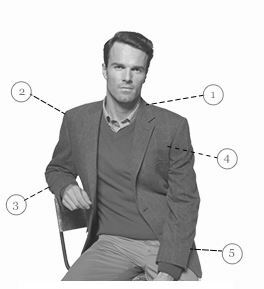 The suit is of the Quality that I have come to expect from Brook Taverner and I was not disappointed. Being the traditional short and portly with short legs it is a pleasure to find a company that will provide the shorter leg as standard with no alteration charges. The pictures etc on the internet and all descriptions are honest and accurate and delivery was amazingly quick. I saw an add. in the Evening Standard. I needed a new suit and didn't have the time to go looking. I had heard of Brook Taverner and thought I should give them a try. I am delighted with the product, it arrived promptly, in perfect condition. It is just what I wanted. I thought the service you gave was great. Fast delivery from placement of order. Overall, the suit is a good cut, but the cloth looks and feels rather cheap, when compared to, say an M&S suit using English fabrics. The fabric looks "thin" and insubstantial. It arrived slightly crumpled and these "crumples" still remain. The internal details are nice and well made. So, overall a great service and product, let down by its cloth. An excellent fit and a good feeling to the material. Prompt delivery at a very good price. All round satisfaction.